Language Log » Oops! That's "seven rings", not "hibachi"
Oops! That's "seven rings", not "hibachi"
The two characters are shichirin 七輪. 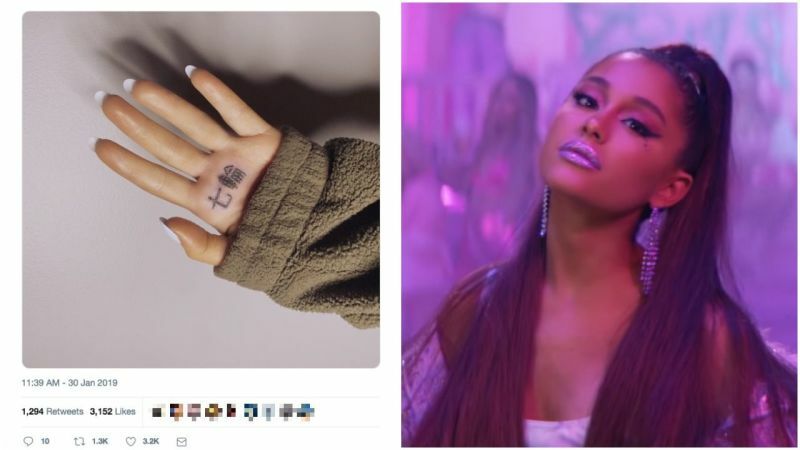 This is to celebrate her new single, "7 Rings", and the characters do indeed mean "seven" and "hoop; circle; ring; wheel". Unfortunately, when you combine them into one word pronounced shichirin, they mean "small charcoal grill; hibachi"). 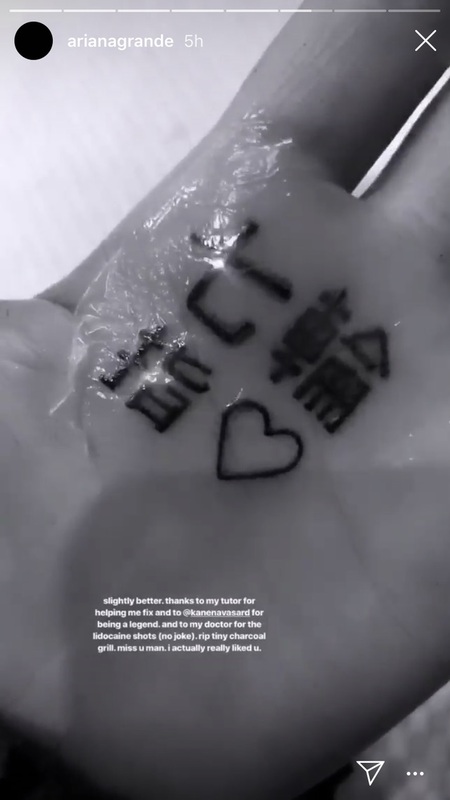 If Ariana Grande wanted to have a tattoo meaning "seven rings", she should have gotten one that read nanantsu no yubiwa 七つの指輪. So now her amended tattoo reads "small charcoal grill finger ♡”. In all of this, people overlook the wider source of the problem: 輪 as rin occurs in lexicalised expressions in Japanese. 三輪 sanrin 'three rings/wheels' is found in 三輪車 sanrinsha 'tricycle'. 五輪 gorin 'five rings' is an alternative name of the Olympics. 七輪 shichirin 'seven rings' has been lexicalised as the name of a type of grill. Had it not been for the lexicalised meaning, 七輪 might even have squeaked through — but it didn't. Note that 'one ring' is ひとつの指輪 hitotsu no yubiya 'one ring'. So yes, the Lord of the Rings translates 'seven rings' as 七つの指輪 nanatsu no yubiwa, not as 七輪 shichirin. 三つの指はは should have been 三つの指輪は. And don't forget 五輪書, which by the way, I think it should've been translated as "The Book of Five Elements" and not "The Book of Five Rings". And also, 輪 rin is a counting word for flowers. 一輪の花 ichirin no hana is 'one flower'. ７輪の花 shichirin no hana is 'seven flowers'. Wait, 七輪 shichirin is being taken to mean "grill" because it's the name of a grill brand, and the name of the brand means "seven rings"? That looks to me like using 七輪 to mean "seven rings" is fine. The grills think that's what it means, no? If a Tim Horton opened an arcade called "Tim Horton's", who would tell him that "Tim Horton's" can't be the name of an arcade because it already means "donut shop"? Surely what it really means is "affiliated with Tim Horton"? I'm not sure where you're getting the idea that 'shichirin' is a brand name; it's an entirely generic name for a portable charcoal grill. In any case, if someone had SIX FLAGS tattooed on them in English it wouldn't be unreasonable if the first thing that came to mind was an amusement park even if it could clearly refer to something else. It's not at all self-evident that the primary meaning of 七輪 ought be seven (finger) rings even if the oven didn't exist anyway. I believe that 七輪 is the traditional name for it, at least in Edo. According to Japanese Wikipedia, there are several etymological explanations for the name but none is accepted as authoritative. I was going to write "Never get a tattoo in a language in which you aren't fluent". Then I decided to go with just the first four words. Ariana can simply say it's Chinese, not Japanese. Then there'll be no problem.